It's Time You Called. 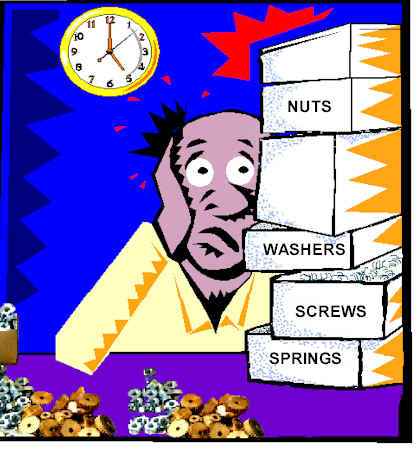 . .
Do You Need To Reduce Inventory Losses ? Would You Like to Reduce Your Stock Levels ? 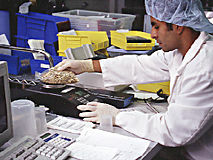 Are You Currently Counting by Hand or Using a Mechanical Scale ? Need an Extra Counting Scale or Two Just to Help Get You Through Inventory? Planning to Automate Your Inventory or Convert to Paperless Transactions ? Would You Like to Reduce the Labor Associated With Your Material Handling ? If You answered yes to any of these questions you need to contact us for a free consultation and cost analysis. It takes about 15 minutes but may save your company hundreds or even thousands of dollars. Many Manufacturers and distributors similar to you are already enjoying the benefits of digital counting scale technology available from Algen Scale. Whether you are picking and packing, verifying your receivables, performing a general inventory or cycle count, Algen Scale has the right equipment for you. Call Algen Scale today at 1-800-836-8445, and put us to the test. time and money - and make your employees more efficient and productive. BOSTON SCIENTIFIC/SYMBIOSIS USES COUNTING SCALES FOR ACCURATE PRODUCTION OF ENDOSCOPIC INSTRUMENTS.